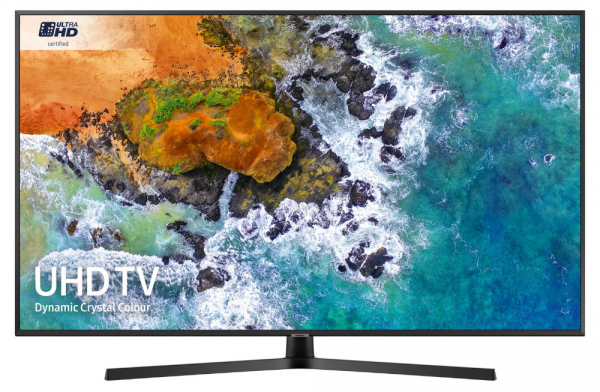 Packed with colour, the Samsung UE55NU7400 55" Smart 4K Ultra HD HDR LED TV is perfect for you as, it can produce greater varieties of shade than ever before. See every colour in a rainbow, and the whole range of shades in a sunset. With HDR10+, you can see every detail in even the darkest scenes. Samsung's Smart Hub also gives you easy access to whatever you want to watch. Whether you're having movie night with you Blu-ray player, enjoying a weekend Netflix binge, or just want something on while you're having dinner, you can get access to all of your options directly from the Smart Hub. This TV is perfect for your tech led home.